This adult Great Horned Owl had been sitting on the branch with his mate, and they had been whispering sweet nothings to each other for a while before they each took off. 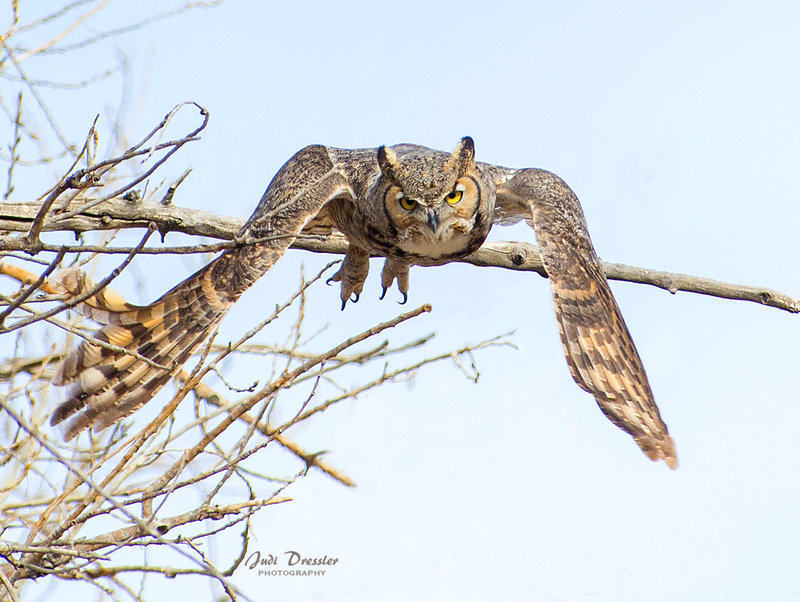 Great Horned Owls in Colorado mate and start nesting in January, and start raising their families in the dead of winter. I saw these owls in the distance, so this image is cropped and can only be printed as a relatively small print no larger than 11x14″. But remember that the wingspan you see is 4-5 feet from tip to tip when stretched out!